Sasha Matthews’ Everyday Superheroes project started off as a fundraiser for ACLU. Her idea was to draw real people doing what they love in life, but in the form of a superhero. This one was commissioned by Cris Taylor. 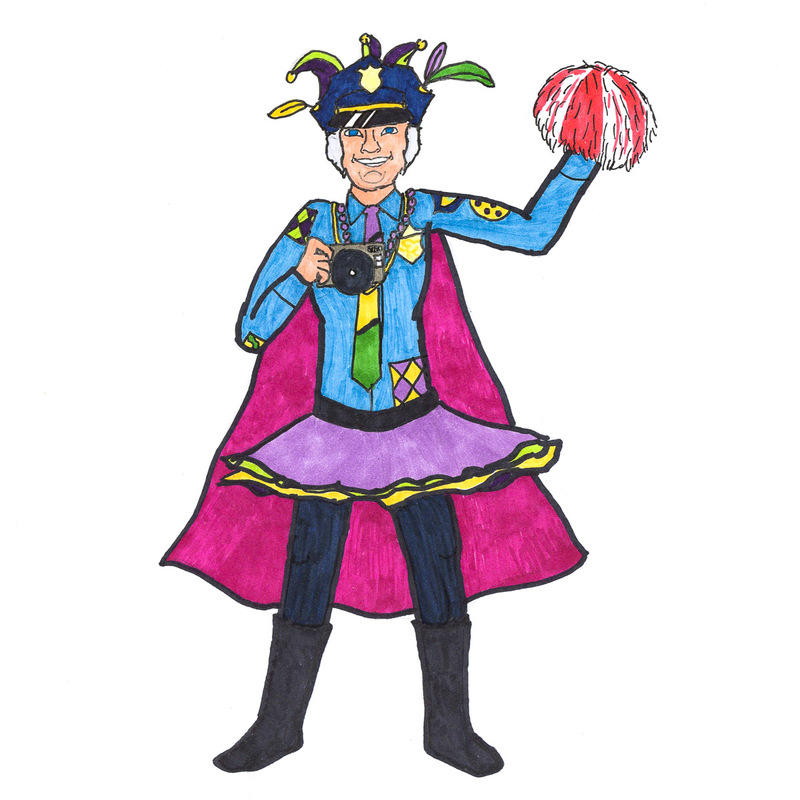 She’s a retired police officer and policy analyst who enjoys photography, attending her nephews’ and nieces’ sporting events, and Mardi Gras. Read more about the Everyday Superheroes project on Amy Poehler’s Smart Girls.